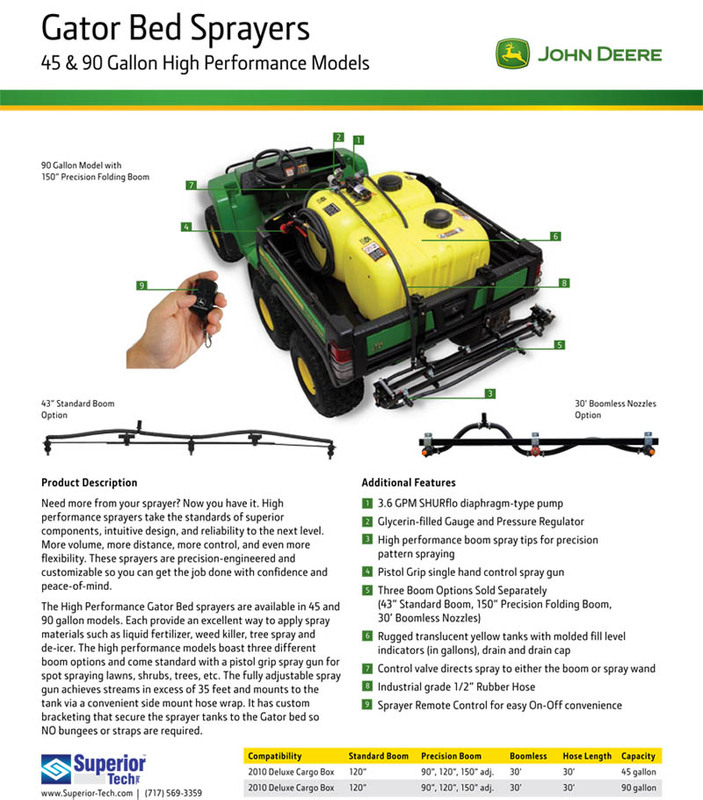 The High Performance Gator bed sprayer is designed to work with any Gator vehicle equipped with the steel Bed or Deluxe Cargo Box (not 550 Series or CX Gators). 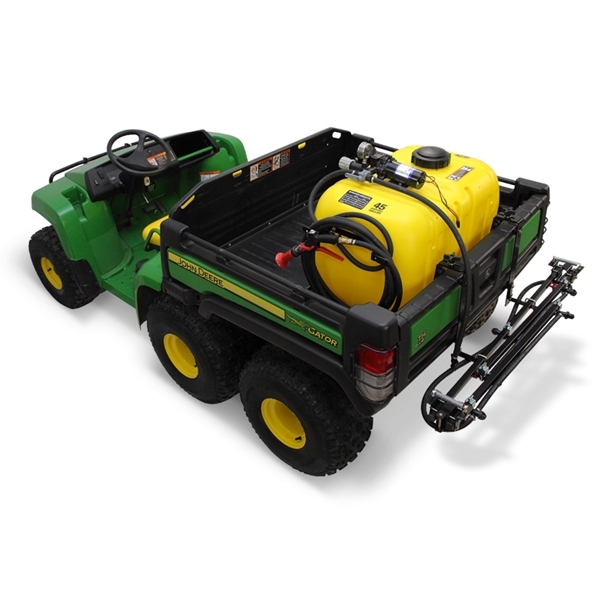 With a 45 gallon capacity, high volume electric pump, and premium pistol grip spray gun, it provides an excellent way to apply spray materials such as liquid fertilizer, weed killer, tree spray and de-icer. It is the perfect match for the customer who wants more performance, power and control. Cover ground quickly with flexible boom options; a 150" precision folding, 120" Standard 3 tip, 30' boomless, or no boom at all. (boom sold separately).